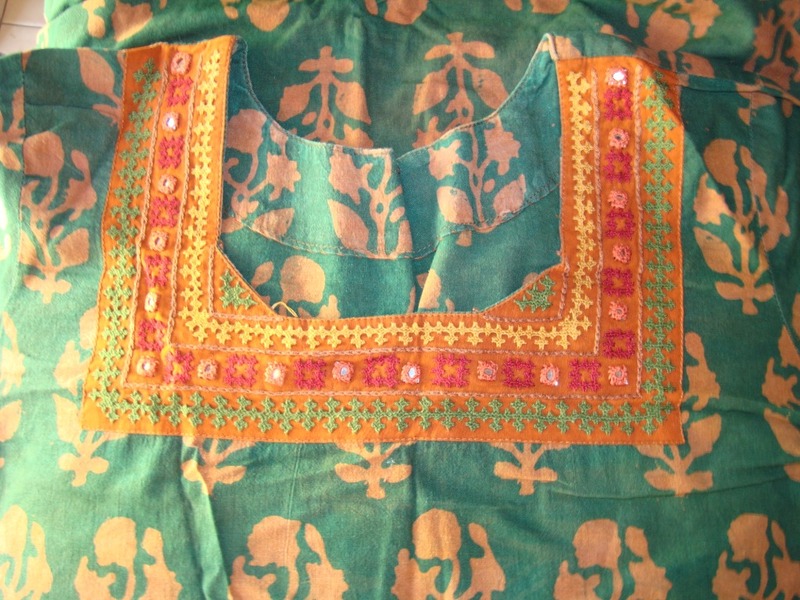 I found this beautiful green block printed material in cotton, and wanted to do some traditional Indian embroidery. I chose kutchwork with mirrors- because it is easier to cover more area with them. The pattern was for the neck and sleeves. 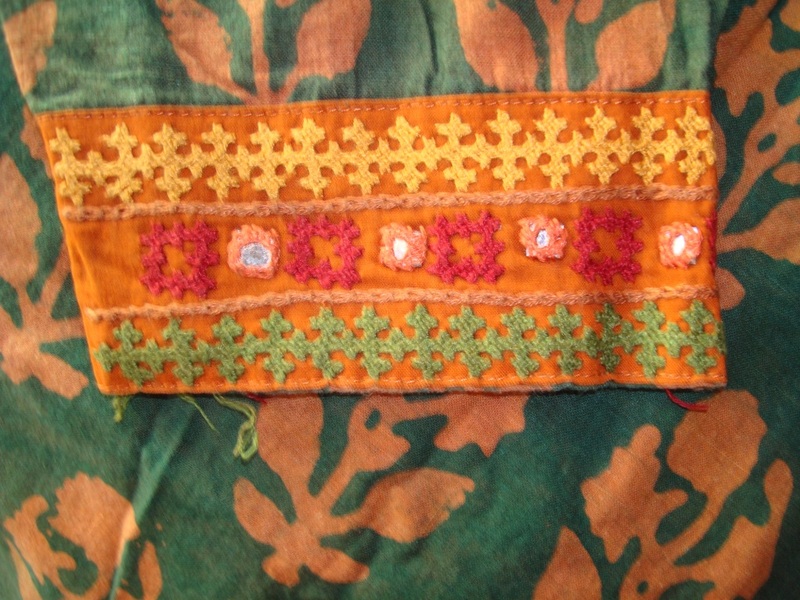 The embroidery was done in the same colour cloth as the block prints- generally I use the word rust for this colour, but I don’t know what others use. 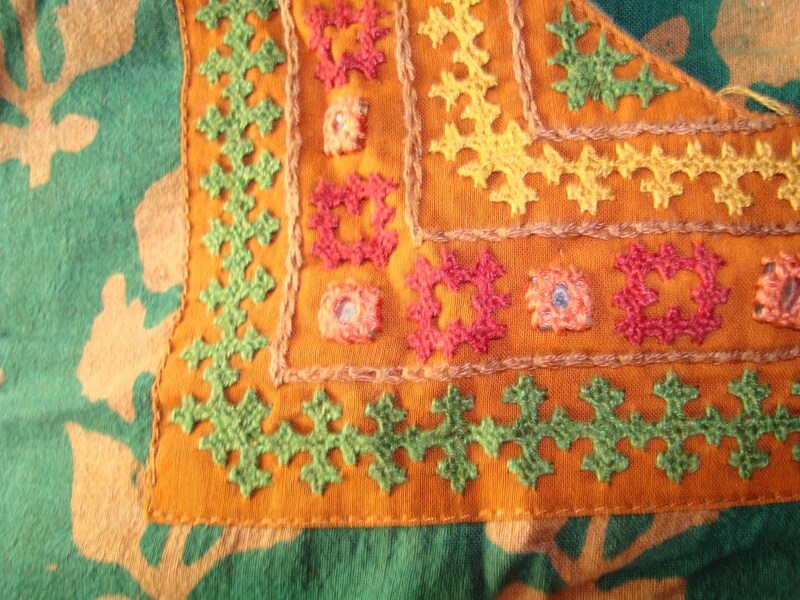 The embroidery was worked in green,red and yellow, with the mirrors in self colour. I had traced the pattern on to the cloth and had given it for to be sewn on the tunic, which the tailor did beautifully, later, I worked the embroidery. Working on the neck was alright[ though it was too thick for the frame!] the sleeves were quite tricky.